•Apr 1 at 10:37 AM •HEAVY METAL & TUBES LTD.
On behalf of my entire organization Heavy Metal & Tubes ltd, we extend our heartiest congratulations to your company for completing 50 glorious years of success. You have always been on the top of the list for serving the industry with your unselfish services. Companies like yours with a brilliant team of dedicated staff and with a friendly work environment can only aim for high results. Working with you has been a real honour and we value each and every transaction and deal. We wish you all the success for many more years to come. And we hope to continue doing business with you in future. 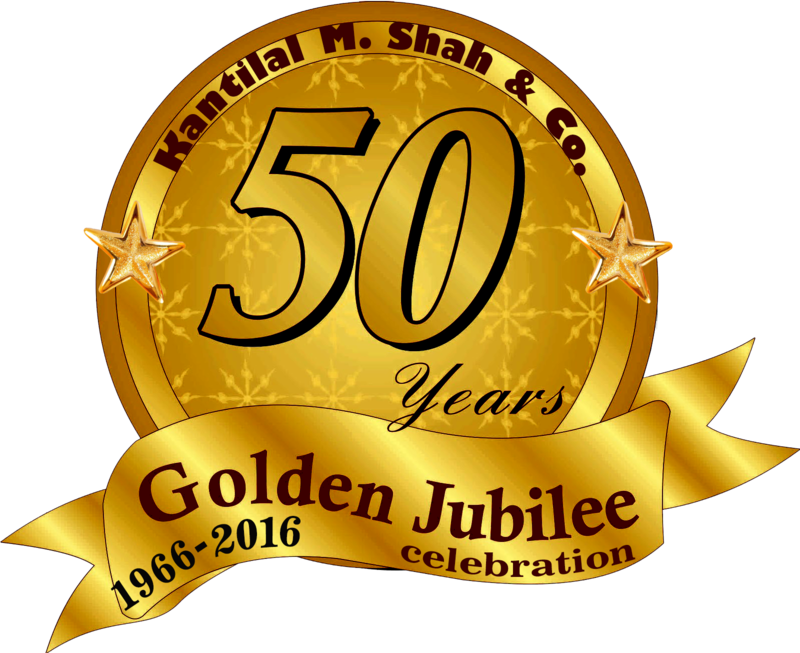 Our heartiest congratulations to you on Kantilal M. Shah & Co. completing 50 years of establishment. Such longevity of an organisation is possible only with dedication, professionalism and value based policies. We are very proud of our own association with Kantilal M. Shah & Co. which began with your late father Shri Kantibhai in 1980 and which continues even today. I am sure under your capable leadership your Group will continue to make progress in the future. and our best wishes are always with you . Congratulations for completing 50 glorious years. May you achieve many more milestones in future and keep up the legacy. Team Kantilal Shah & Co.
Heartiest Congratulations & Best wishes to Team Kantilal M Shah & Co. I am very happy & Thankful to Team & Management for remembering me in this Successful Glorious Progress Journey Celebration of Crossing 50 Golden Years. I also feel very proud that I was also associated with this Esteemed Organisation & part of this success story of 50 Glorious Years. I am very happy to share the joy of completion of 50 Glorious years of our establishment M/s. Kantilal M Shah & Co. I also wish accelerated Growth & all round progress of Professional Services in years to come. Congratulations and all the best wishes for the years to come. •Apr 1 •Jay Copper & Alloys Pvt. Ltd.
Congratulations on 50 Years of wonderful accomplishments !!!!!! You have achieved tremendous growth and have built eminent goodwill in the community. You have always tried to provide the best services to customers. Your services are always marvelous and appreciable. We are wishing you continued success, growth and many more years of service to the community !!!!!!!!! Team - Jay Copper & Alloys Pvt. Ltd. It is heartening to know that the firm had completed 50 years. My falicitation to you, entire team on this occasion. At this point I cherish the memories of Kantibhai. Wish u a power packed future again! •Apr 1 •Raajratna Metal Industries Ltd.
CONGRATULATIONS TO YOU AND THE TEAM OF Kantilal M. Shah & Co., on its GOLDEN JUBILEE and wishes All the Best. Congratulation for completing Half century and we hope you will complete Full century. Our best wishes will be always with you and your team. Wishing to you all very prospective years yet to come and Many Many Congratulations on successive journey of 50 years in profession. Hard work always gives results. I am feeling proud to be a associated member of such a professional firm. Kindly accept our heartiest congratulations on completion of 50 glorious years services to business and industry community. We wish you continue to serve the society for a pretty long time with the same zeal, dedication and satisfaction with which the firm was established by your beloved father. •Apr 1 •Amod Stampings Pvt. Ltd.
Heartiest Congratulations on completion of 50 years and WIsh you and all your colleagues all the best for achieving many amore heights in your professional success. Many many congratulations on this wonderful occasion of completion of 50 glorious years of professional services. I had the privilege of knowing Kantikaka from childhood and he was perhaps the first CA with whom I came in touch. He truly imbibed virtues of hard work and client friendly business support services. You are also keeping the flag of your firm flying high by observing the same standards of professional services and I wish you all the very best for the times to come. Please accept my heartiest congratulations to you and your team. You have brilliantly taken forward the the excellent team started by your able father late Sh Kantilalji Shah to a new height. We all are thankful to your for your proffessional help from time to tie and really appreciate it. We all wish you and your team a great success ahead. It was always pleasure to work with you and Late Shri Kantilal Ji. My best wishes for future. Heartiest Congratulations for achieving the milestone of 50 Years! It is indeed pleasure to be associated with K M Shah family. Best wishes for bright future! Naresh J. Patel & Co.
We convey our heartily congratulation and best wishes on this occasion. We hope progress with best practices on this occasion. And praying to god to continue next 100 years. Well Known Tube/Pipe Maker under the Indian Boiler Regulations' 1950 Please do not print this email unless you really need to - this will preseve trees on our planet EARTH. We run on GREEN POWER. Pujya Kantikaka Ni Athag Mehnat Ane Lagan Nu Aa Parinam Che.